Football fever hits Promutuel Insurance with the Vanier Cup! Why support the 2015 Vanier Cup? If you’ve been following us, you may have noticed that we sponsor a lot of sporting events as well as certain athletes: Grand défi Pierre Lavoie, Osez le Mont Saint-Anne, Omnium du Québec Promutuel Insurance, Québec kitesurfer Catherine Dufour… Basically, we like to stay on our toes! It seemed only right to add a trophy to all of these sports challenges. With the Vanier Cup, we’ve gone and done just that! BIG: The Vanier Cup championship game is the most important match of the year in Canadian varsity football—the victors go home as national champions. Université Laval has been chosen to host the event for the fourth time in seven years. LOUD: A crowd of over 17,000 is expected at the TELUS-Université Laval stadium on game day! NOT TO BE MISSED: Throughout the conference finals, stay connected with Promutuel Insurance on social media to experience the thrills of university football: ticket draws, tailgate recipes, predictions, and a whole lot more! Game day will be your chance to join us in the stands, and even try for a field goal! 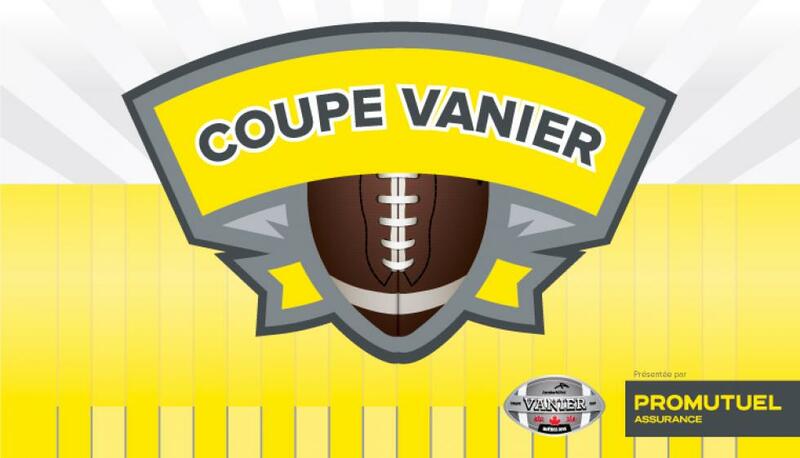 “We’re extremely proud to be partnering with Université Laval to present the 2015 Vanier Cup! On November 28, university football fever will sweep the city, and I’m sure that we’ll witness an unforgettable game in an incredible atmosphere,” said Jonathan Pollender, vice president of marketing and business development for Promutuel Insurance. “We’re obviously thrilled to have Promutuel Insurance as a sponsor for this major event at Université Laval. On behalf of the entire organizing committee, I’d like to offer our sincere thanks for their support. We hope it’s the beginning of a lasting partnership!” added Gilles Lépine, co-chair of the Vanier Cup organizing committee..
See you soon on social media and in the stadium!